Boca Raton Funeral Home was established to provide the local community an alternative to the growing number of funeral homes owned by corporate giants. Our philosophy is to treat your family as our own, something owner and funeral director Garrett Jacobs is known for. Boca Raton Funeral Home treats you with dignity and respect at an affordable price. In fact, our prices are 40% lower than other local corporate funeral homes. With a focus on attention to detail service, we are committed to conducting our business professionally, while affording you the sensitivity and professionalism your loss demands. Garrett Jacobs has served the community for over two decades, both through his involvements with funeral homes and beyond. His commitment to the community continues to expand, with his increasing partnerships with local businesses and service groups. Boca Raton Funeral Home and Cremation Services’ vision has been realized as a valuable resource to families in need of burial services and cremation, offering outreach programs and resources to the bereaved. Beginning his career in 1990, Garrett worked weekends at Babione Funeral Home while attending Mortuary School. After graduation, Garrett served as an intern at Pelczar Funeral Home in Newmarket, New Hampshire, where he received his New Hampshire License. He continued on with Pelczar as an Embalmer and Funeral Director from 1992-1995. 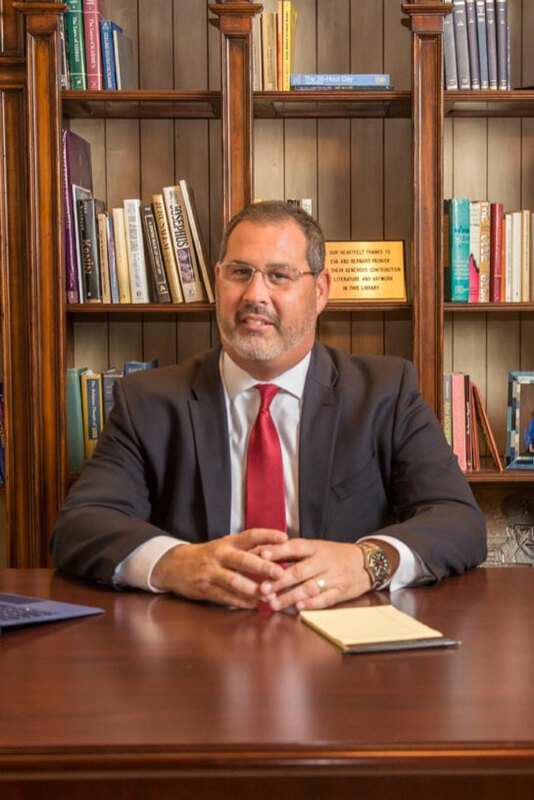 In 1995 Garrett and his wife, eager to start a family, returned to Florida where he received his Florida license and became a Funeral Director at Beth Israel Memorial Chapel in Delray Beach (1995-2003). Garrett was one of five Funeral Directors at Beth Israel, performing over 1100 funerals a year. In October of 2003, Garrett realized his dream with the opening of Boca Raton Funeral Home and Cremation Services, a family owned and operated funeral home offering alternative services to families including graveside services at the cemetery, church and synagogue services, or cremation. To speak with Garrett 24 hours a day please call (561) 852-4332.